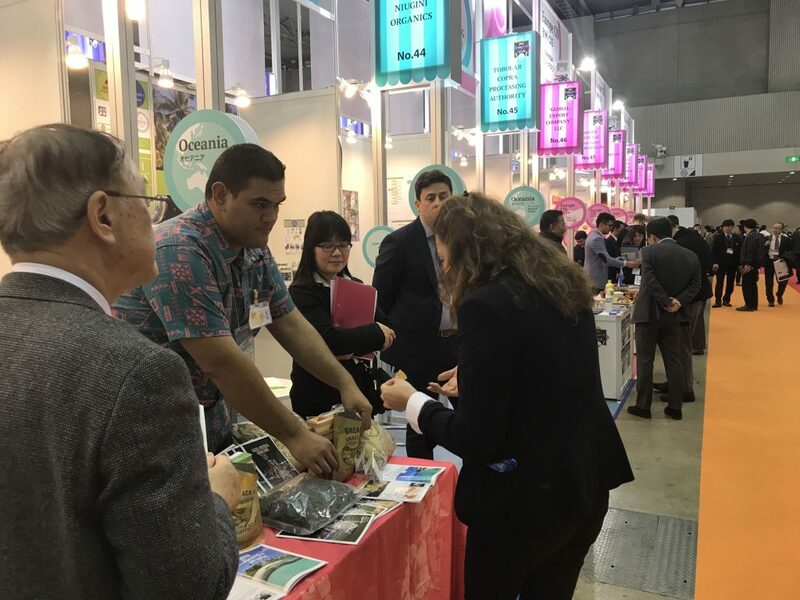 “FOODEX　JAPAN 2019” was held in Makuhari Messe-International convention complex-from March 5 (TUE) to 8 (FRI),2019. 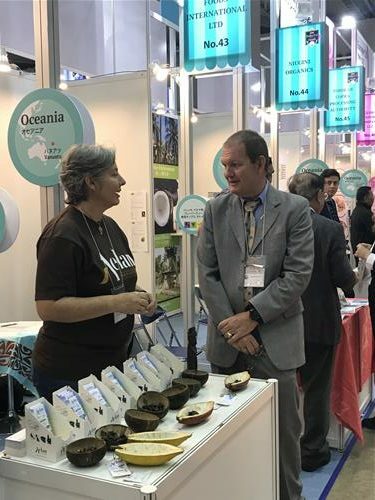 PIC had been making an effort to find and approach those companies from Pacific Island Countries that willingly attended this exhibition. 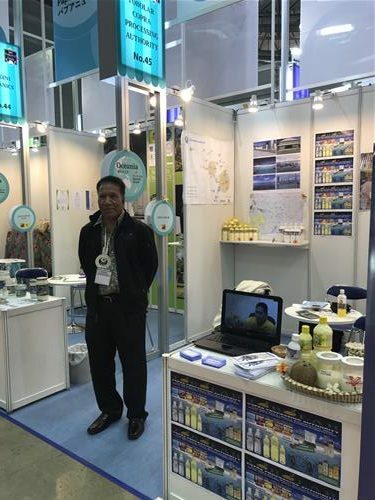 Moreover, PIC implemented support measures for those candidate companies, in cooperation with the Pacific Islands Forum Secretariat, to realize their setting up booth in “World Food Market” in JETRO Zone,（※） which was organized by JETRO. 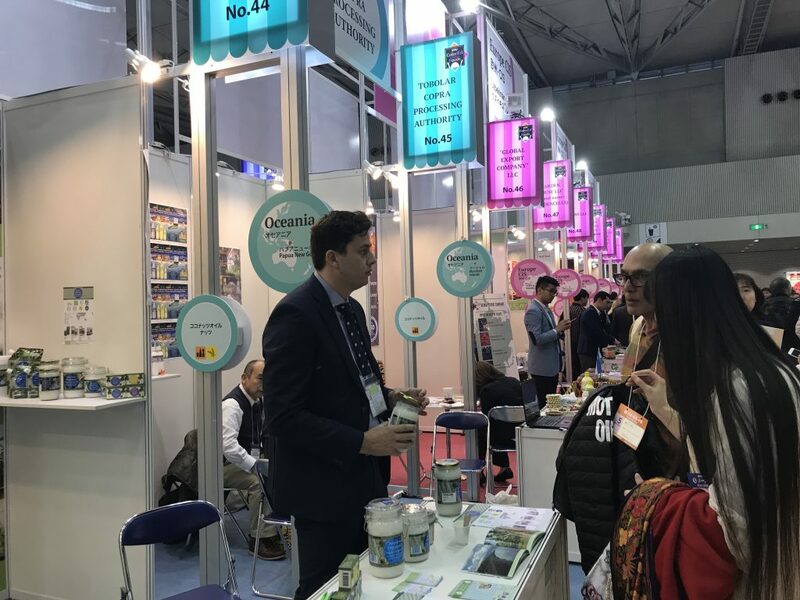 As a result of continuous effort made by PIC, 4 companies from 4 countries finally exhibited the products in this “FOODEX　JAPAN 2019”. We hope this opportunity provided a spark for starting business between Japan and those 4 countries. We would like to convey our sincere gratitude for the concerned parties. （※）JETRO ZONE：”JETRO Zone” is a pavilion organized by JETRO in “FOODEX JAPAN” in every year since 1997 as a support program for fostering food and drink industry of emerging economies. It also serves as a chance to establish stronger relationships between those countries and Japan by offering the opportunities to enter the Japanese market. JETRO has introduced food and drinks of the total number of 1,500 companies from about 100 countries of Africa, Asia, Latin America, Europe & CIS, Middle East and Oceania. In 2019, JETRO ZONE involved the participation of 49 companies from 28 countries. Please visit the link below for the summary of results for FOODEX.